Dr. Jeffrey Cross D.D.S., F.A.G.D. 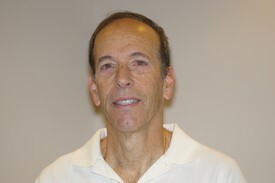 is a dentist who has been serving the Frederick community since 1983. Dr. Cross is home –grown, having earned his undergraduate degree from the University of Maryland College Park, and his Dental degree from the University of Maryland Dental School in Baltimore, Maryland in 1978. After graduating dental school, Dr. Cross served three years in the United States Air Force as a dentist, stationed in Northern California. While there, he solidified his love for outdoor sports, skiing, backpacking, and camping. After his service in the USAF, Dr. Cross re-settled in Maryland, and in 1983 started seeing patients in Frederick, Maryland. Dr. Cross enjoys providing comprehensive dental care to the entire family, hopefully several generations of families. Dr. Cross belongs to dental organizations such as the American Academy of Dental Sleep Medicine and Alpha Omega Dental Fraternity. He is proud to also be a Fellow in the Academy of General Dentistry and a graduate of the world renowned prestigious Pankey Institute of Higher Dental Education. Recently, Dr. Cross also became a teaching faculty member at the University of Maryland Dental School. Dr. Cross has been married to his wife, Batia, for 32 years, and enjoys the pleasures of three children, Ariel, Jason, and Kyle. He and his wife enjoy aggressive hiking in the woods, road biking, and physical fitness.